resources | Life Long Learning! Summer is supposed to be a time for educators to regroup, reorganize, clean out, and do a little preparing for another school year. I have to admit I’ve been a world class slacker when it comes to cleaning up my digital life. As I’ve said before, I am a real digital packrat – meaning I love to collect stuff. I collect links to websites, blogs to read, and tools to use. I sign up for everything. Everytime a new tools is mentioned by my friends on Twitter, Plurk or a blog, I add it to my collection. In addition, when I meet an interesting educator online, I subscribe to their blog. A couple of weeks left to my summer (since I go back in the beginning of August) and I’m feeling like I need a plan to do some serious reorganizing. 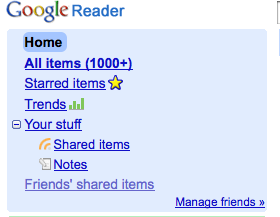 Google Reader is where I keep track of all the blogs I want to read. The problem is that I don’t get back to it often enough because I also use Pageflakes to keep track of blogs I want to read during my daily 15 minutes of professional development during the school year. Del.icio.us is where I keep my bookmarks. With over 1600 websites, it’s been difficult to keep the tags effectively organized. In addition, I’m quite certain, many of my bookmarks are ones that I could probably delete, since I’ve been using del.icio.us for so long, I’m certain that there is quite a bit of overlap and dead links. On the advice of my twitter friends a while back, I imported all of my bookmarks to Diigo. 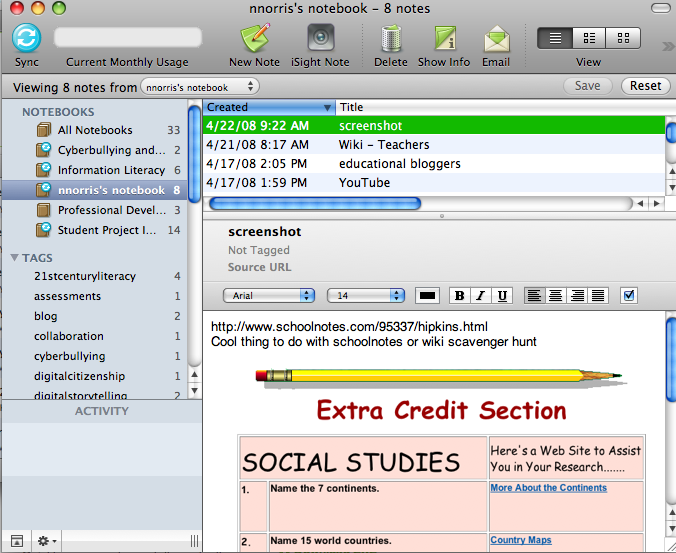 I know Diigo has some wonderful features such as annotating, sharing, categorizing, and discussion. I need some time to get to know Diigo well enough to organize my bookmarks. I have several friend requests, but since I rarely visit Diigo, I’m afraid I’d be a very uninteresting friend. Evernote is another cool tool. I clip pieces of websites and tag them for future use. Right now I’ve reserved the use of this tool to keep track of student work samples and specific strategies for teachers in my district. I need to prioritize this work, because eventually, I have to improve this blog. I have some wonderful resources for teachers, but there are far too many, making the lists overwhelming. Not to mention, there are probably a number of dead links. Most importantly, a bunch of website links is really useless unless they are annotated so the site’s best features are identified for the user. Anyone have any tips or tricks. How do you organize your digital life? Next Glogster: Math practice sites! Create a scrapbook page for a famous person in history! I came across a post from a blogger from the Teacher Leaders Network describing the educational use of Pageflakes. I used to have pageflakes set up as my home page, but it was really slow to load. My kids started to complain, and I just set it back to good ‘ole Google. After reading Mr. Ferriter’s post, I decided to work on my PageFlakes and even copied a few of his pages, like the educational bloggers page and the Accomplished Educational Leadership page. Like Mr. Ferriter, the single most important form of professional development that I engage in on a daily basis is reading blogs. Creating a visual way to organize my favorites (who are also his) will make it easier to spend a few minutes here and there to read them and organize information that I get from them with flakes like notepad, and delicious. I think when I show teachers how to read blogs, this form of feedreader will be easier to understand and perhaps I might be able to persuade more teachers to try this when I show them my pageflakes page. From Beth Buke’s presentation, which was hilarious. How fitting that it was held in Zanies. Her very energetic presentation had a smattering of technical issues, but she kept it moving. Beth worked very hard to put together an extremely informative presentation. Her presentation wiki can be found here. Her list of resources is very nicely organized and annotated. Use googledocs. I already use google docs in a very limited way. My boss loves the idea of posting our curriculum maps to google docs and giving all the teachers access to make them living documents. I want to really develop the use with students and teachers. Jing: already use Jing regularly for screen shots, but to demonstrate how to do something in a movie, I should use this more often, turn off the mic, since I don’t like my voice. 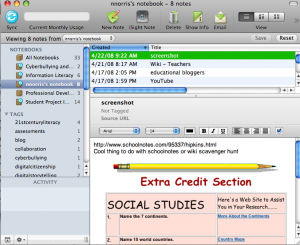 Screencast-o-matic – you don’t have to create an account, record what you want, and download it, check this out! Voice thread – example Mrs. Joe’s class. Upload pictures and users make comments, Ridge has to use this!!! The power is the comments (different settings for privacy), public but keep it off of the browse – great idea, students create their identities within identities within her account to keep it safe and controlled, planning is extremely important – use a story board! Focus on the content. I’ve heard of all of these resource and even signed up for every one. Beth has motivated me to get moving and use them.